The flagship subsidiary of the Nigerian National Petroleum Corporation, the Nigerian Petroleum Development Company, is interfacing with third-party financiers to raise $3.15bn (N967.1bn at the official exchange rate of N307 to a dollar) to develop Nigeria’s crude reserves and increase oil and gas production from Oil Mining Lease 13. It was gathered that the fund would enable the NPDC to develop 416 million barrels of oil reserves and increase production by 94,000 barrels of oil per day. Although the name of the financiers could not be ascertained as of the time of filing this report, documents obtained by our correspondent from the NNPC in Abuja also showed that the NPDC would use the fund to develop 542 million standard cubic feet per day of natural gas from the same OML 13. The NPDC, which is an upstream subsidiary of the NNPC, was established in 1988 to engage in the business of oil and gas exploration and production. Officials at the firm said the NPDC’s target was to increase its oil and gas production to 500,000bopd and 1.5 billion standard cubic feet per day by 2020. They further stated that the NPDC’s production increased from a constrained 15,000 barrels of crude oil per day to 240,000bopd due to the return of the Forcados Oil Terminal. In late 2017, NPDC’s Managing Director, Yusuf Matashi, said the firm was poised to grow its equity production from the 180,000bopd to 300,000bopd by 2018, adding that production was also projected to hit 400,000bopd and 500,000bopd by 2019 and 2020 respectively. 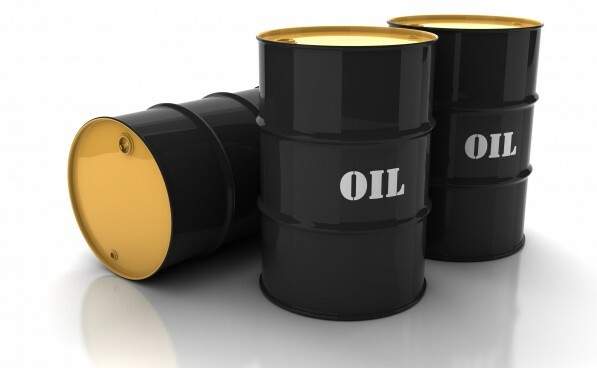 The Minister of State for Petroleum Resources, Ibe Kachikwu, and the Group Managing Director, NNPC, Maikanti Baru, at various occasions, had stated that the Federal Government was intensifying efforts to boost the country’s crude oil reserves. The latest data obtained from the corporation in Abuja on Friday, as contained in a document on the achievements of the current management of the NNPC between 2016 and 2018, stated that the target of the national oil firm was to increase Nigeria’s crude oil reserves from 37 billion barrels to 40 billion barrels by 2020. Officials at the Federal Ministry of Petroleum Resources and the NNPC said the move to raise $3.15bn from third-party financiers to develop oil reserves from OML 13 was part of the government’s target of increasing Nigeria’s total crude oil reserves. In the document, the corporation stated that the ownership of OML 13 had been restored to the NNPC via a presidential intervention. OML 13 is an onshore oil block on the eastern Niger Delta with an acreage of 1,923 square meters. It plays host to the Utapate South and Ibibio fields, as well as some producing marginal fields. “NPDC is raising $3.15bn through third-party financing with Technical Service Agreement to develop 416MMbbls of oil reserves and increase production by 94kbopd and 542mmscfd of natural gas from OML 13,” the NNPC stated in the document. It further noted that OMLs 65 and 111 financing and TSAs were being negotiated. Matashi had stated that the NPDC was the fifth largest exploration and production oil producer in Nigeria and that the company was ready to efficiently manage its portfolio of assets to achieve its yearly production targets. Outlining some of the portfolio of the oil firm, he said, “NPDC has 55 per cent equity in eight blocks: Oil Mining Leases 4, 26, 30, 34, 38, 40, 41 and 42; non-equity operations in four blocks of selected NNPC Joint Venture fields (OMLs 11, 20, 49 & 51). In the latest document from the NNPC, the corporation stated that the NPDC currently supplied an average of 720mmscfd, representing about 47 per cent of total gas supply to the domestic market. The corporation added that gas supply to industries had also witnessed an increase, as the average daily supply to operators in the industrial sector had increased to 450mmscfd. The NNPC further explained that the national crude reserves were increased to 37.2 billion barrels at the end of 2017, adding that this was due to the discovery of the Owowo field in deepwater OML 139 with an estimated one billion barrels of crude reserves. On further measures adopted to boost crude production, the corporation said it raised $1.2bn for NNPC/CNL Project Cheetah and stated that the financing for the project was oversubscribed. The NNPC stated that in 2017 alone, it signed about $2.5bn alternative funding arrangements, notably NNPC/SPDC Joint Venture worth $1bn and known as Project Santolina; NNPC/CNL JV valued at $780m – Project Falcon; and NNPC/First E&P JV and Schlumberger valued at $700m. “These three 2017 funding arrangements are expected to increase combined production of crude oil and condensate by 150,000bopd and 618mmscfd of gas with a combined government take of about $32bn over the life of the projects,” it added. The oil firm also stated that it had been able to lower the unit cost of production of crude for upstream companies from $27 per barrel to $22 per barrel. It added that crude oil production level was sustained above an average of two million bpd in 2018 and that this was an improvement over the 1.8 million bpd and 1.86 million bpd recorded in 2016 and 2017 respectively. It, however, stated that the corporation’s plan was to attain 2.5 million bpd national production and increase to three million bpd by 2020. To further add to the country’s crude reserves, the NNPC said it would sustain exploration in Chad Basin and Benue Trough. It also noted that over the course of the three-year period, the security in the Niger Delta improved largely due to constructive engagements and dialogue with all relevant stakeholders. “This has, in no small measure, boosted our production. We thank all our stakeholders and reaffirm our commitment to continuous engagement with them,” the oil firm said.